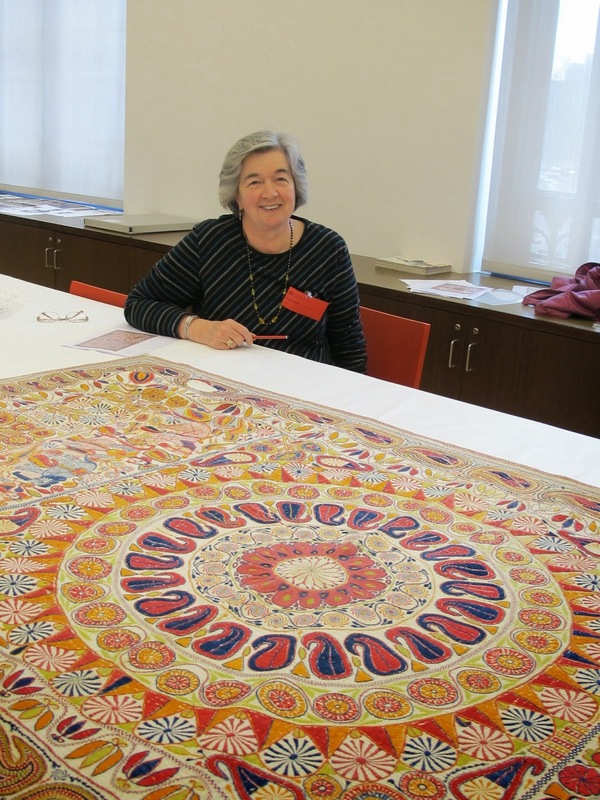 On Monday the 7th of July 2014, as part of the 20th Anniversary Seminar of the Quilt Study Group of Australia, we will hold a full day of Quilt Uncoverings. Starting at 10am at the Australian National Maritime Museum at Darling Harbour, four NSW quilters will share selected quilts from their collections. These collectors and makers of wonderful quilts and quilt designs are Trish Bloomfield, Melinda Smith, Carolyn Sullivan and Brigitte Giblin. If you wish to come only to the Uncoverings Day, and not to the Seminar on Sunday, it will cost $A40, payable before by booking or you can pay on the day at the Australian National Maritime Museum. Trish Bloomfield will talk about and show quilts from her own collection and a couple of quirky quilts from Annette Gero’s collection. Trish has titled her section “Quilts Outside the Box”. When describing her quilt collection she told us: “When I started collecting I really had no idea what I was doing. I decided to buy utility quilts including some that were well worn (I was interested in the effect of wear over time on quilts and batting). I also liked block quilts. This in turn helped me make some decisions with regard to my own quilting process. “Annette Gero thinks that I have a unique collection because in my ignorance I have collected some unusual and perhaps quirky quilts. Although I have not seen all of Annette's quilts there is one Poppy kit quilt that I think needs to be shown. Annette doesn't get my interest in that quilt, but, I think it is a perfect example of someone with sewing ability ordering their 1st quilt kit and then having no idea of how to quilt it. “So I guess ‘outside the box’ is my journey to learn more about the craft and history of quilting and the examples I bought along the way”. 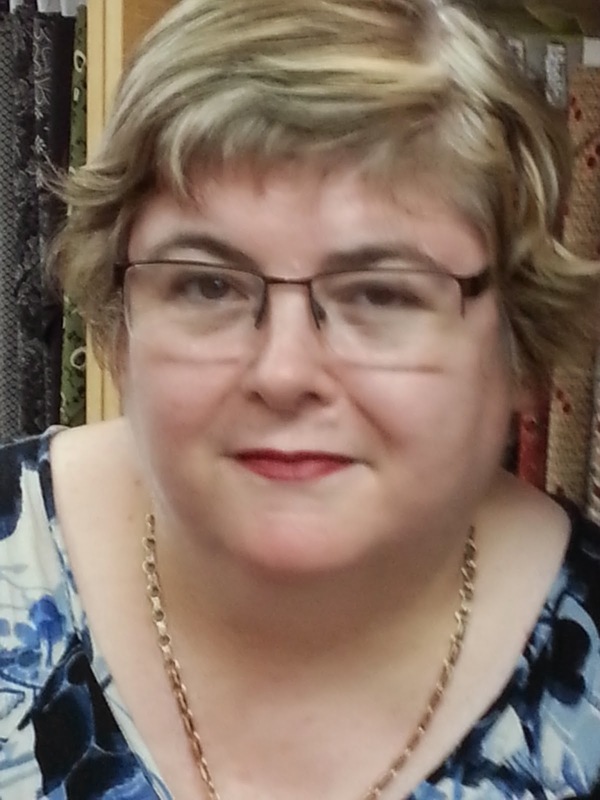 Melinda Smith is the owner and manager of “Quiltsmith”, a well known quilt shop in Annandale, Sydney. 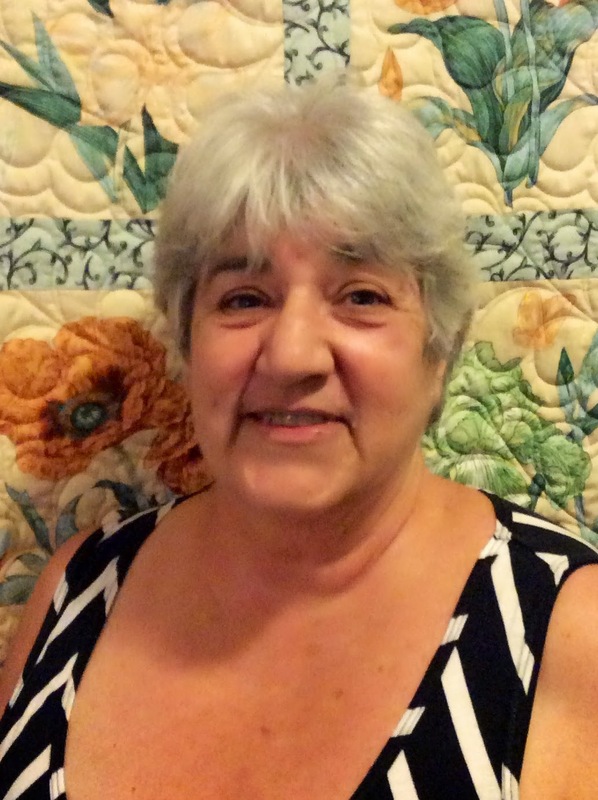 She began quilting when she was 16 and her interest in antique quilts started at an early stage of her quilting career. Melinda’s Quilt Uncovering session is called “Collecting Eclectively”. While showing us a selection of her antique quilts, she will explain how she has built her quilt collection, how it has developed over the years and why quilts attracted her. Melinda collects across all themes, but has a particular interest in scrap quilts made with multiple fabrics. Carolyn Sullivan is an embroiderer and quilter who enjoys working with fabric and thread to make colourful works where shape and texture are important. As most of her work is done by hand, much of her life is spent stitching. She has exhibited widely in Australia and overseas. She lives on five acres just outside Bundanoon in the Southern Highlands of NSW, so she has a close involvement with the natural features of the land surrounding her. Brigitte is well known for her quirky sense of colour and fabric choice. Her ability to reproduce antique quilts with a new twist places her quilts in a naïve, whimsical light. She especially enjoys working with colour to create quilts which have a “feathering the nest” quality, with a traditional approach to techniques. Her latest book is Feathering the Nest (see http://www.brigittegiblin.com.au/ for more details). The quilts Brigitte will share with us and discuss are French Vintage Quilts - Boutis. “The term ‘bouti’ tends to be used today to describe all French quilts, however there are 3 different techniques for French quilts made in the south of France from the 1600s. I will talk about the 3 different techniques and show quilts and fabrics dating from 1785 to 1920s. My collection is mostly whole cloth quilts of the simpler ‘matelassage’ type”.